#xmasbracketmadness — Play begins on November 1, with holiday movies instead of basketballs! 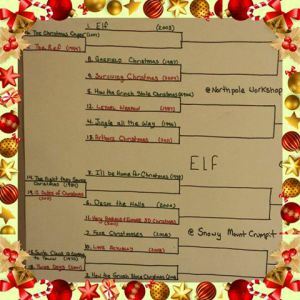 The last two brackets in the Christmas Bracket Madness have been released. The first play in games will take place on November 1st also the last day of the $1 Code Blood Red Halloween special. Take a good look and prepare to vote for your favorite Christmas movie. The official rules and how to vote will be posted on Halloween.